You spend an afternoon in the hot sun either sunbathing or snorkeling or kayaking-Phi Phi Island's most popular activities. You take a refreshing cool shower and watch the sunset on your bungalow's private balcony. Your stomach beckons for some native Thai food-perhaps seafood. It's time to choose a restaurant for dinner. Phi Phi Island offers a myriad of choices for international and local cuisine. Trendy Phi Phi Island Restaurants are fun if you are with your kids or even on your honeymoon. You may like trendy Phi Phi Island Restaurants if you are a stateside baby-boomer. 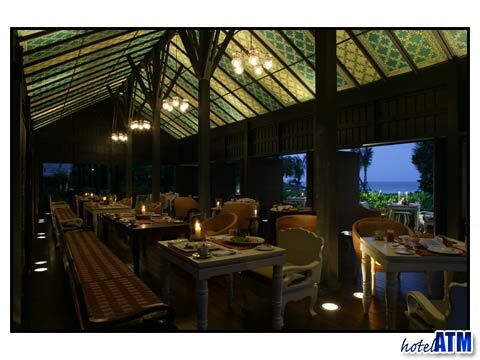 If you are European, you might enjoy trendy Phi Phi Island Restaurants for their imaginative, thematic décor. A lot of trendy Phi Phi Island Restaurants are located directly on the beach. Imagine how romantic and idyllic that is! Eat with your loved ones under the stars, with the moon reflecting on the water, the pristine sand under your feet, and a gentle wind bobbing through your hair. Thai food is known for being spicy, but you can specify the degree of spiciness you want your dish to be. For starters, try the trendy Phi Phi Island Restaurant known as Hippies BBQ Restaurant. Since this restaurant specializes in western cuisine, frequent this place if you have a hankering for your native cuisine. 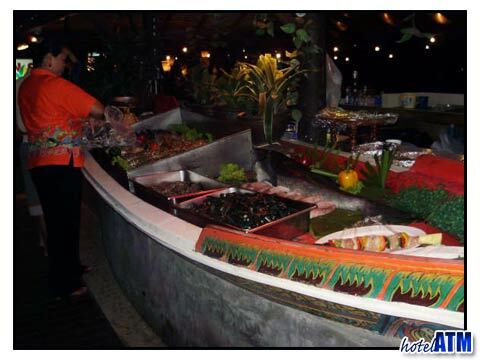 As a western restaurant, it is one of the best Phi Phi Restaurants for barbeque-style dishes. Top Ten Burger is another trendy Phi Phi Island Restaurant that caters to the western palette. This is one of the best restaurants in Phi Phi Island to take your kids to. They may be too young to appreciate Thai food or it might be too spicy for them, so take them to Top Ten Burger where you have many styles of burgers to choose from. Little Britain Café, a trendy Phi Phi Island Restaurant catering to the European set, is located inside the Reggae Bar, and is open early in the morning and late at night. It too specializes in western favorites. Enjoy an early breakfast here or a late night-cap at Little Britain Café. And, if reggae music is your favorite, enjoy the tunes while you are dining. Cosmic Pizza, one of the best restaurants in Phi Phi Island, offers pizza for those who can't live without it for more than a week. There are two locations for this western-style eatery on the island-a testament to its popularity. Again, this restaurant is the choice to bring your kids to.